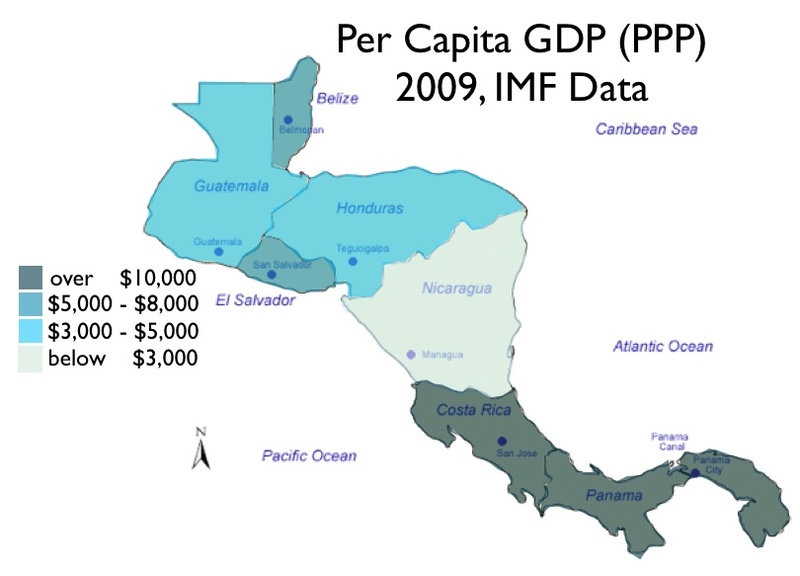 Nicaragua, the poorest country in continental North America by a good margin, sends immigrants not only northward into Mexico and the United States but also southward into Costa Rica. The economic disparity along Nicaragua’s lightly policed southern border is steep and Costa Rica, unlike Nicaragua, is known for its political stability, effective government, and high levels of social well-being. Nicaraguans have been moving south for some time, the flow accelerating with every natural and political disaster at home. Most estimates put the number of people of Nicaraguan origin in Costa Rica at about 10 percent of the total population; roughly half are undocumented. Costa Rica’s current immigration news story concerns China rather than Nicaragua. Some 600 Chinese workers recently came to Costa Rica to work on a new national sports stadium, financed by Beijing as a favor for Costa Rica dropping Taiwanese recognition in 2007. As Chinese construction firms subsequently moved on to build an apartment complex in San Jose, the call went out for more Chinese workers. Costa Rica’s Ministry of Labor countered that there are plenty of qualified Costa Ricans who could be employed instead. On June 27, 2010, Costa Rica’s ambassador to Beijing lodged an official protest against Chinese pressure on his country to allow in the additional workers.